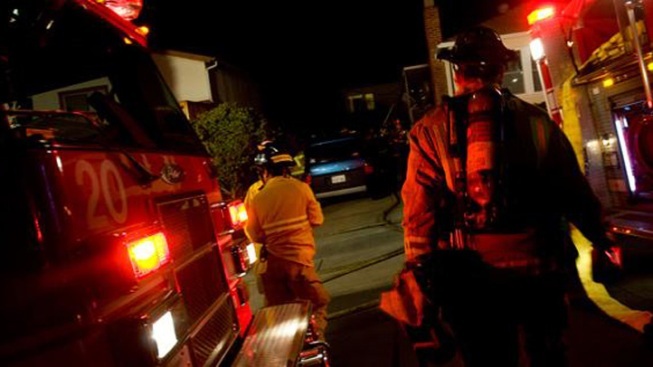 A house fire started by a burning cigarette killed two people and caused an estimated $450,000 in damage to a home in Emerald Hills early Saturday morning, San Diego Fire-Rescue reported. Firefighters found an elderly woman and her son inside a burning home about 2:30 a.m. at 1340 Kelton Rd., near state Route 94 in Emerald Hills, said Maurice Luque, a department spokesperson. Both victims were taken to UCSD Medical Center in Hillcrest and were later pronounced dead. The names and ages of the victims have not yet been released. Luque said cigarettes are among the leading causes of residential fires.